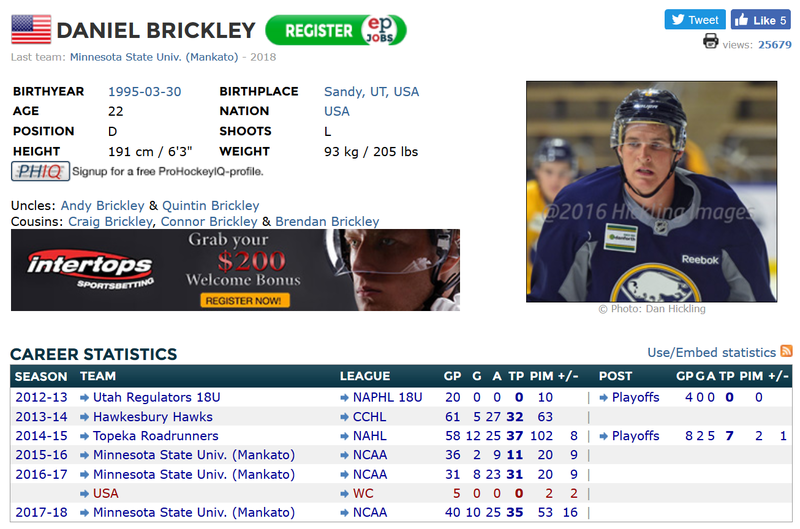 -It was confirmed that the Kings met today with NCAA free agent defenseman Daniel Brickley. 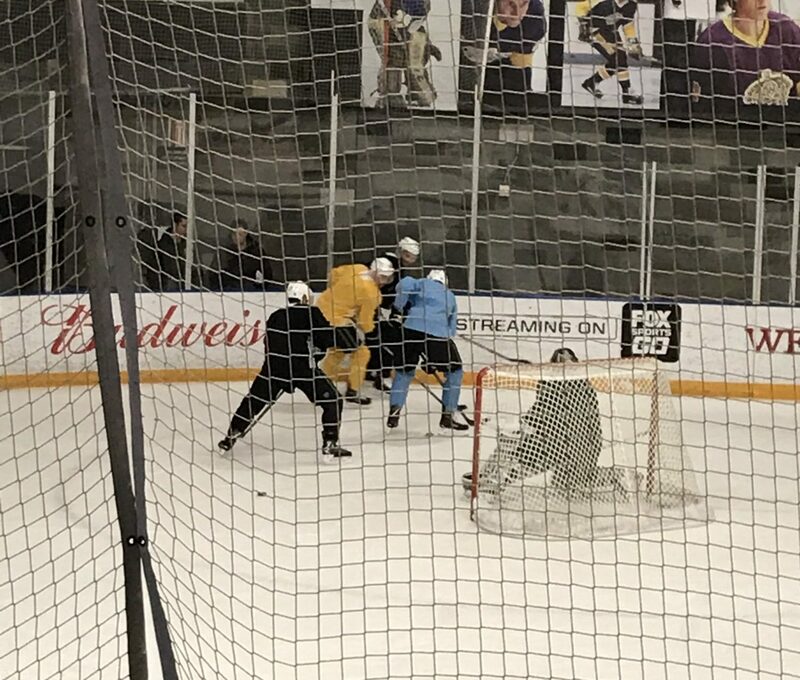 He’s a 6-foot-3, 205-pound Utahn whose junior season with Minnesota-Mankato ended last weekend and is expected to sign an NHL contract. Represented by CAA Sports’ Pat Brisson, he met with Detroit on Monday and with San Jose on Tuesday, per TSN’s Bob McKenzie, who also noted that he’s looking closely at three but perhaps as many as five teams on yesterday’s Insider Trading. -The Board of Governors approved changes to goaltender interference review, and as recommend by the general managers, the NHLPA executive board and the NHL/NHLPA Competition Committee, voted to shift the final decision on goaltender interference away from the on-ice officials and to a consortium in The Situation Room in Toronto that will include a rotating former referee. The changes go into effect tonight. The changes were recommended by the NHL’s General Managers at their March Meeting and subsequently approved by the NHL/NHLPA Competition Committee. The updated rule, as written below (with changes underlined), will be implemented for games as of Wednesday, March 28. (c) The standard for overturning the call in the event of a “GOAL” call on the ice is that the NHL Situation Room (which shall include a former referee in the Officiating Department in the decision-making process), after reviewing any and all available replays and consulting with the Referee who made the original call, determines that the goal should have been disallowed due to “Interference on the Goalkeeper,” as described in Rules 69.1, 69.3 and 69.4. (d) The standard for overturning the call in the event of a “NO GOAL” call on the ice is that the NHL Situation Room (which shall include a former referee in the Officiating Department in the decision-making process), after reviewing any and all available replays and consulting with the Referee who made the original call, determines that the goal on the ice should have been allowed because either: (i) there was no actual contact of any kind initiated by the attacking Player with the goalkeeper; or (ii) the attacking Player was pushed, shoved or fouled by a defending Player causing the attacking Player to come into contact with the goalkeeper; or (iii) the attacking Player’s positioning within the crease did not impair the goalkeeper’s ability to defend his goal and, in fact, had no discernible impact on the play. 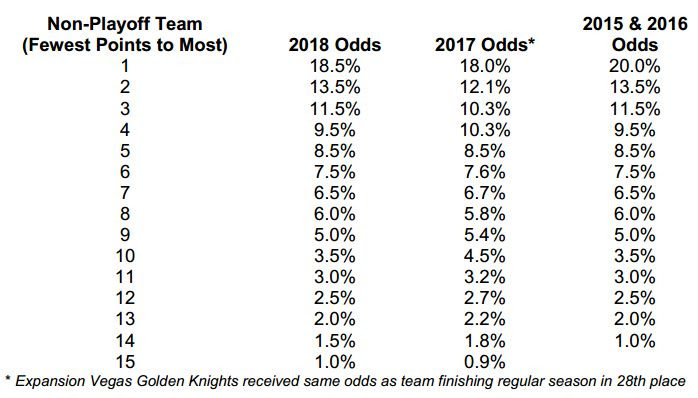 -More league news: The odds for the 2018 NHL Draft Lottery were released this morning. There will be three drawings. 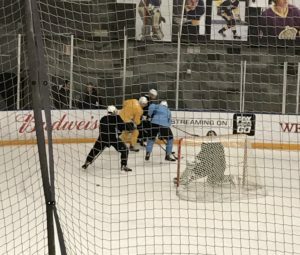 The first will determine the club that selects first overall, the second will determine the club that selects second, and the third will determine the club that selects third. The 15 teams that do not qualify for the playoffs will participate in the lottery, which will be held Saturday, April 28 in Toronto. 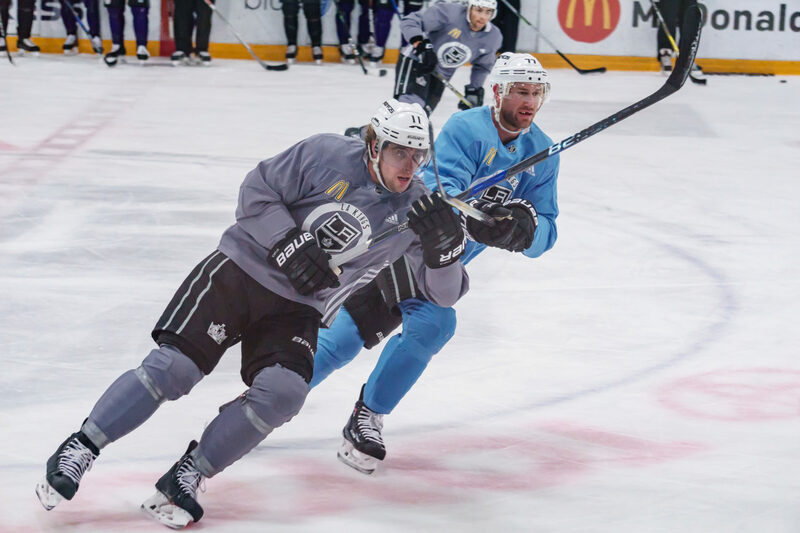 -The Kings lost a defenseman in Jake Muzzin but had two to choose from to replace him in the lineup. 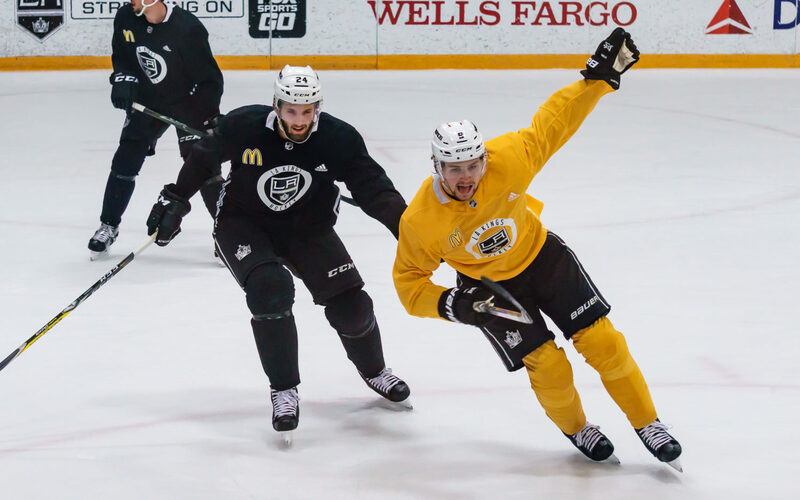 When the Arizona Coyotes visit on Thursday, it appears Kevin Gravel will get the first kick at the can to step in, though Paul LaDue will almost certainly get his looks over the season’s final two weeks, as well. The choice of Gravel to get the first look is a natural one. Though he’s versatile and can play either side, he’s a left-handed shot, whereas LaDue shoots right-handed. 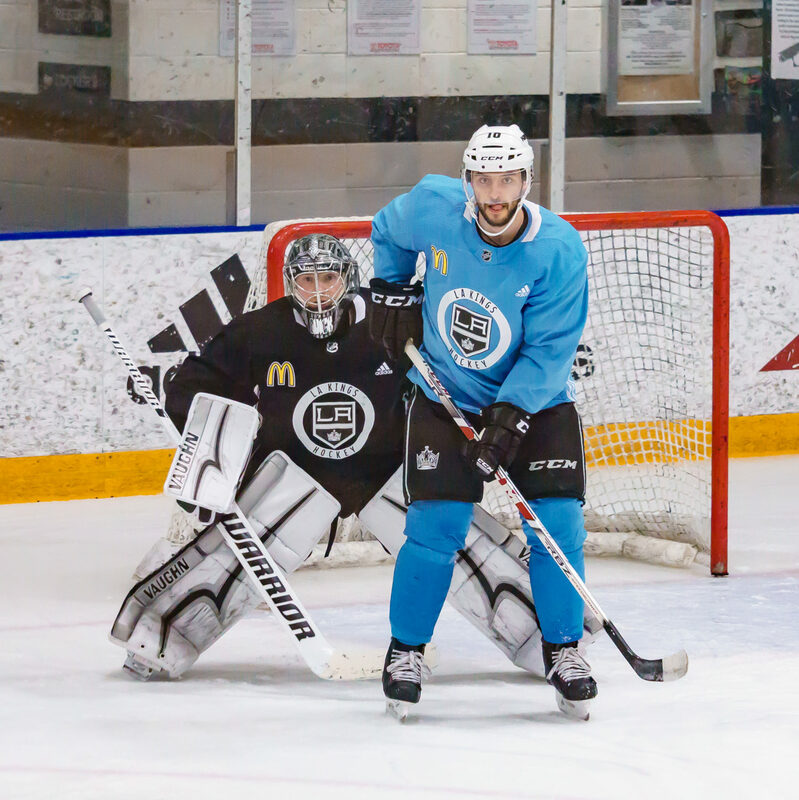 Had Los Angeles chosen to go with LaDue to step in for the left-handed Muzzin, it would’ve required a more thorough realignment of their defensive pairings. Instead, Gravel is simply plugged into Muzzin’s spot – at least for Thursday’s game, it appears. Coaches often have no issues moving forwards around from game to game based on performance, the opposition and other criteria. Moving defensive partners around doesn’t necessarily happen as regularly. Why is that? -There are still tickets available for Monday’s LAKI Group Night, which comes with a pre-game chalk talk-slash-panel-slash-oh gosh this season is going to come down to this Avs game, isn’t it-meeting. Jim Fox will be one of our esteemed guests. The rows in Section 316 we’ve allotted for Insiders have nearly been filled up, so we’ve added a pair of rows in 317. Details and logistics will be posted later this week. Click here to purchase seats, which are priced at $45, plus fees.